Jovan White Musk is like the quintessential fragrance for those who just enjoy smelling clean. In Bottle: Musky in that clean and crisp way that only synthetic white musk can provide. This can smell like anything from freshly washed skin, to soap, to detergent. It just smells good and pure. Applied: White Musk is largely a one trick pony. It has a good trick though. The cleanliness that White Musk provides can be attributed to various things by different people. I like to compare White Musk to a soft floral soap that’s been run through a lot of focus groups. Others have likened it to laundry detergent, lotion, powder, and any number of other smells that generally project the idea of clean. And there’s nothing more I can say about White Musk aside from the fact that if you want to smell soft, fresh, a little flowery and clean then this is the stuff to go with. Make sure you test it out before you buy it though because while white musk can work on most people, some have reported it to smell chemical or even plasticy. The best way to avoid a regretful purchase is to test first. Extra: Interestingly enough, most consumers believe musk–all musks smell awful or–“musky”. In actuality, white musks tend to be the pinnacles of clean smelling. Design: The bottle looks like it was designed for function rather than form. It looks a bit outdated, but it’s serviceable and not garish even if it’s somewhat plain. Notes: Honeysuckle, jasmine, ylang-ylang, amber, musk. Probably one of the best things about White Musk is the fact that it’s incredibly easy to find and very affordable for what you get. It’s an excellent fragrance that won’t burn a hole through your wallet. 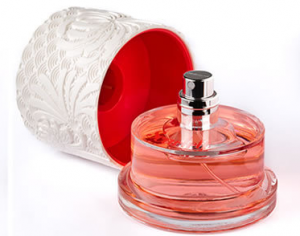 Reviewed in This Post: White Musk, 2012, Eau de Parfum. So Taylor Swift’s name enters the world of celebrity fragrances. 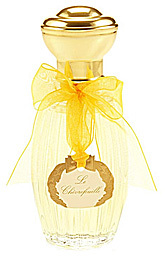 Did she do any better than the multitudes of celebrity fragrances that came before hers? Nope. In Bottle: Sweet berries with a heavy sweet note that’s reminiscent of vanilla layered over a thin and sparse coating of flowers. Applied: Smells like berry hard candy mixed with vanilla. Not particularly interesting and not particularly new or fascinating. I think I’ve officially burnt myself out on fruity florals now because Wonderstruck is actually striking me the wrong way. Again, it doesn’t smell bad. It’s just boring. Anyway the vanilla berry fragrance takes on a bit of juiciness from the peach or the apple or whatever the heck fruit smoothie concoction rolls in after the opening. 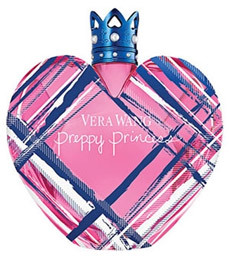 This makes the thing smell like Hidden Fantasy by Britney Spears tripped and fell into a vat of Viva la Juicy. The midstage is marked with a hint of florals rising up like a horrible ocean of sweetness and girliness. The fragrance reminds me of any number of female celebrity perfumes and its identity really blends in with the rest of its competition. The dry down isn’t any more remarkable either, a dose of vanilla, a hint of warm amber, a bit of sandalwood and white musk to give the fragrance that clean, sweet, girly ending. Extra: Wonderstruck was released this year to a happy audience of Taylor Swift fans who will be equally happy to note that the perfume smells good if you’re into fruity floral fragrances. Heck, if you liked the Britney Spears Fantasy line then you’ll probably enjoy this. Or even if you just like Taylor Swift and want to collect things with her name on it. As a fragrance though, it’s not accomplished or unique. So serious fragrance lovers would get better wear out of a more competent fruity floral. Design: It’s a bit cheesy but I have to admit that it isn’t poorly designed. There’s something Renaissance about it. Maybe it’s the carvings on the cap that remind me of the intricate stonework that would be present in a lovingly built church. Aside from the cap, I find the charms kind of garish and random and the bottle functional and unobtrusive at best. It’s not a bad design overall. Notes: Blackberry, raspberry, peach, apple blossom, freesia, tea, hibiscus, honeysuckle, vanilla, musk, amber, sandalwood. Saw a “teaser” on YouTube for this perfume where Taylor was wearing one of her trademark fancy dresses and looking ethereal as she wandered around while title text faded in to introduce the fragrance. I’m not sure how to feel about the whole thing except mildly perplexed. Why does a perfume need a teaser? Is Taylor doing something else that I’m missing? I don’t know anything about music and suspect that I’m tone deaf so why am I musing about any of this? I may never know the answers to these barely valid questions, but I do know that I loved Taylor’s dress. 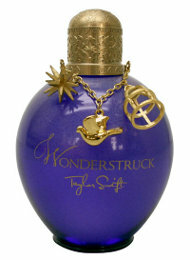 Reviewed in This Post: Wonderstruck, 2011, Eau de Parfum.